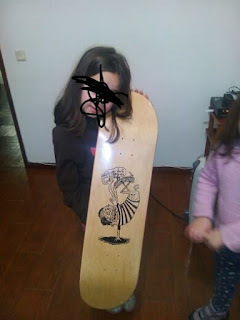 A friend of mine is creating a kind of a skateboard brand and he used one of my drawings for the graphic ! 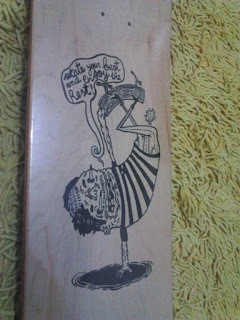 Really happy with this one, and really happy to have a free board, right fucker ?! :) skate and have some fun !